In 1818 the world was introduced to an entirely new kind of monster when Mary Shelley published Frankenstein: or The Modern Prometheus. Tor two centuries, her creation has stalked the stage, then the screen, inspired art, and filled the pages of countless sequels and comic books. 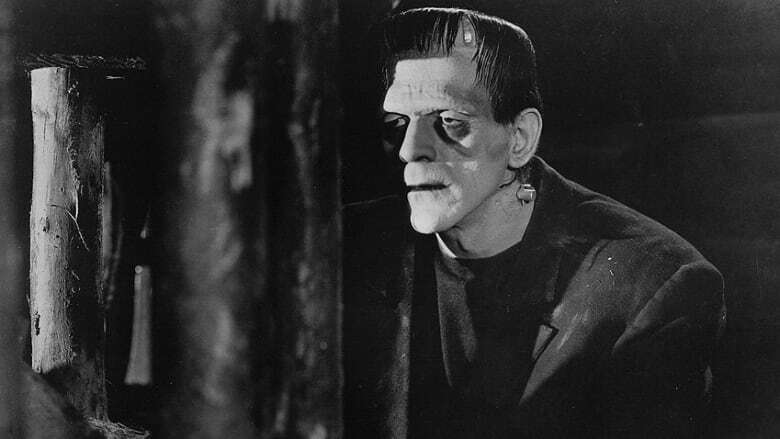 Frankenstein's creature has become the most famous monster of the modern era. In 1818, the world was introduced to an entirely new kind of monster. Mary Shelley published Frankenstein: or The Modern Prometheus and for two centuries her creation has stalked the stage, then the screen; inspired art, and filled the pages of countless sequels and comic books. Frankenstein's creature has become the most famous monster of the modern era. In this episode, we explore how this utterly original horror story captured our collective imagination, and how it reflects the anxieties of so many aspects of our time: from birth, parenthood and human identity, to manipulating human biology, to the fundamental questions about good and evil. **This episode originally aired April 16, 2018. It was — believe it or not — actually a dark and stormy night: the perfect setting for creating the tale of the world's most famous monster. It was in a villa on the shore of Lake Geneva in 1816 that Frankenstein was conceived. Mary Godwin and her lover, soon-to-be husband, the poet Percy Shelley, were visiting their friend, Lord Byron. What was meant to be a vigorous outdoor vacation had been spoiled by terrible weather, and so the party was trapped indoors. Byron suggested a contest: each member of the group would write a scary story and read it to the group. What Mary's imagination came up with would spawn an entire industry. And more than that – it would also create an icon, and a new kind of myth for an emerging modern world. Mary's creation was inspired, according to Anne Mellor, distinguished research professor of English at UCLA, by her own experiences — a remarkable fact considering that Mary was just 18 years old when she conceived Frankenstein, and 20 when it was published. She was, though, the child of two of two intellectual celebrities: trailblazing feminist, Mary Wollstonecraft — who had died from complications during Mary's birth — and anarchist political philosopher, William Godwin. Mary grew up in a cerebral ferment at the dawn of the Industrial Revolution, in the company of politicians, poets, philosophers and scientists. By the time she conceived of Frankenstein, she had borne two children — the first dying only twelve days after birth. Given her background, it's not surprising that Frankenstein is rich with themes. The most often recognized theme of the hubris of the scientist, and the failure to imagine the consequences of technological innovation, reflects her concerns about the Industrial Revolution and contemporary scientists ambition to dominate nature. But feminist scholars in the 1970s revealed a second, more personal set of themes in Frankenstein. The novel, says Anne Mellor, is the story of "a man who tries to have a baby without a woman, and fails to care for the child," reflecting Mary's understanding of the patriarchal society in which she lived, and her worries about Percy Shelley's lack of interest in parenting his young family. It further "unleashes for the first time in literature the pregnancy anxieties about a very young, often pregnant woman." Mellor sees Frankenstein as an exploration of concerns about parenting, about the ability to love a child — and the fears about caring for that new life. While the Frankenstein story has become a cultural force, it was never particularly popular as a novel, according to cultural historian Christopher Frayling. It did gain almost immediate fame on the stage, with many adaptations and productions in both England and France through the 19th century. Frankenstein also entered the cultural lexicon as an all-purpose metaphor for anything rampaging out of control — not just mad scientists, but political dissidents, railroad barons, even labour activists. Its cultural power accelerated Frankenstein, which made it to film in the 20th century, with more than 120 movies made to date, across a multitude of genres: melodrama, horror, comedy, parody, and, very occasionally, the odd attempt at a faithful adaptation of Mary Shelley's story. Frankenstein isn't just entertainment. As Christopher Frayling points out, it has become a cautionary "creation myth" for the modern era. The story, as metaphor, has been deployed for generations to reflect our anxieties about contemporary science, particularly around medicine and the advances in genetics during the 20th and 21st centuries — witness the debates about "Franken-foods" or "Franken-babies" or "Franken-athletes." Martin Willis, professor of English at Cardiff University has observed the way Frankenstein can be a double edged-sword in debates about science. On one level, it's become a "Franken-metaphor" which can be used to "distort a debate — a useful tool of propaganda." On the other hand, the popularity of the term allows it to act as an entry point for non-specialists to engage with and in scientific debates. Willis thinks Frankenstein has "given us a sense of civic responsibility … this mythology that we all know of, that means we have something to say, and will be understood when we say it. And I think that's hugely important in giving many people a voice." Anne Mellor is Distinguished Research Professor of English Literature at UCLA, and author of Mary Shelley, Her Life, Her Fiction, Her Monsters. Christopher Frayling is based in Bath, England, and is a cultural historian, a specialist in all things Gothic, and is the author of Frankenstein, the First Two Hundred Years. Martin Willis is Professor of English at Cardiff University in Wales, and Chair of the British Society for Literature and Science. **This episode was produced by Jim Lebans.